McALLEN — Pennsylvania, North Carolina, Georgia and even here in Texas in Round Rock, Abilene and Kingsville. 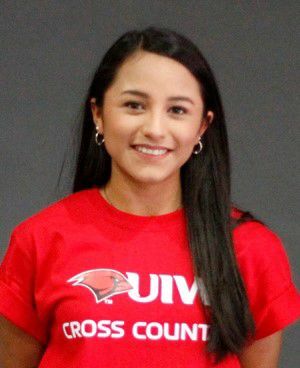 Rio Grande Valley collegiate cross country runners recently competed in Division I and Division II conference meets across the country, and some did very well. Valley runners compete at dozens of schools around Texas, and most had their conference meets last weekend. 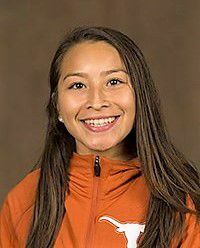 One of the highlights was Edinburg High product Alex Cruz’s 12th-place performance for the University of Texas Longhorns at the Big 12 Conference cross country championships on Saturday at Old Settlers Park in Round Rock — where the Texas UIL often holds high school meets. 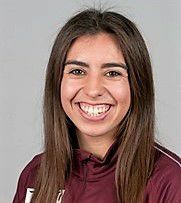 Cruz, a junior, clocked a personal-best time of 20 minutes, 42.7 seconds in the 6,000-meter run and averaged a 5:33 mile. She helped the Longhorns to a third-place finish with 90 points (Iowa State won the meet) and was the second highest UT finisher. Last year, she was 41st in the conference meet and recorded a 22:04.6. The health promotions major lettered all four years at Edinburg High and qualified for state in cross country and track and field in the 800- and 1600-meter runs. At Texas, she also runs indoor and outdoor track. 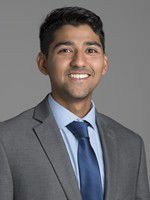 >> GJ Reyna, University of Houston: The junior from Mission Veterans ran a solid 26:31.9 (8K) to finish 31st among 83 runners at the American Conference cross country championships on Saturday in Philadelphia. The Houston Cougars men’s team placed sixth. >> Jose Angel Gonzalez, Texas State University: The senior from Sharyland High placed 18th at the Sun Belt Conference cross country championships at the Appalachian State University campus in North Carolina. Gonzalez’s 25:55.0 (8K) helped the Bobcats to a third-place finish. >> Lizette Chapa, Texas A&M University. The junior from Sharyland Pioneer clocked a 22:55.0 (6K) and took 94th place among 136 runners at the Southeastern Conference championship hosted by the University of Georgia. The Aggies women came in 8th among 14 schools. >> Keila Rodriguez, Incarnate Word University. The junior from Brownsville Rivera was the Cardinals’ top runner with a 22:08.4 (6K), good for a 16th-place finish in the DI Southland Conference cross country championships held in Abilene. IWU finished sixth in the 13-team competition. >> Lauren Rodriguez, Texas A&M-Kingsville. 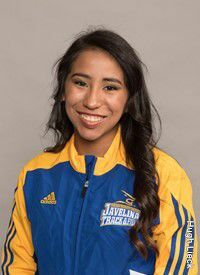 The freshman from San Benito placed 28th among 73 runners and was the Javelinas women’s team’s top finisher with a 25:10.0. As a team, Texas A&M-Kingsville finished eighth at the Lone Star Conference cross country championships in Kingsville. Josh McGowen was a human highlight at McAllen High, but at Stephen F. Austin, action has been much slower to come. Until last Saturday, that is. The redshirt freshman ran 10 times for 92 yards in the Lumberjacks’ 34-7 win over Lamar University in Beaumont. McGowen’s performance included two runs of 30 yards each and another of 19 yards. The big game gives McGowen 127 yards rushing on 28 carries for the 4-5 Lumberjacks of the Southland Conference. He has also returned seven kicks for 209 yards (with a long of 71 against SMU), and he’s caught six passes out of the backfield for 32 yards. McGowen is the fourth-leading rusher on the team. 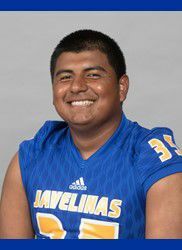 Former Brownsville Lopez Lobo Julio De La Garza is a ray of light in a not-so-bright season for the Texas A&M-Kingsville Javelinas. The 2016 first team All-Lone Star Conference kicker is at it again this year. Through seven games, he’s been true on 9 of 12 field goal attempts, and he’s gone 26 for 26 on PATs. The junior has three times gone 2 for 2 in games this year, and in the season opener against Central Washington, he hit a 44-yard field goal — his longest of the year. De La Garza has also added some extra duties of as late. In the last five games, he’s punted 27 times for a 39-yard average and a long of 55. At Lopez, De La Garza earned all-district honors in football and all-state honors in soccer. Valley View high school is a hotbed for college soccer talent. 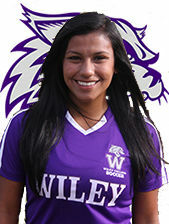 Add Evelyn Saenz to the list of Tigers alums who are playing or have played on the collegiate level. The Wiley College freshman has started every game this year for the NAIA Wildcats who call Marshall, in East Texas, home. Saenz, a midfielder, has scored three times on 12 shots on goal in 13 games played. The Wildcats finished the season 10-4 overall and 8-2 in the Red River Conference — good enough for second place. The biology major was an all-district performer in volleyball, basketball and soccer at Valley View.